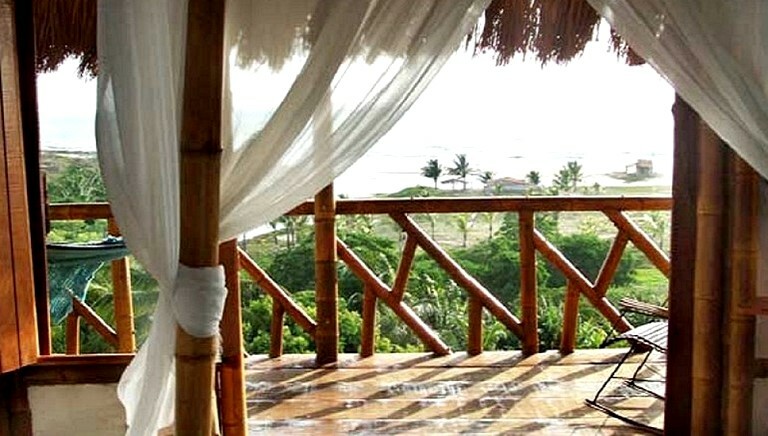 These oceanview luxury suites are situated in a bungalow that's tucked into the hillside near Natal, Brazil and can each accommodate two guests, perfect for glamping couples looking for a romantic getaway in South America. Each suite has incredible ocean and river views and features a queen-size canopy bed with a thick, firm, spring mattress, elastic foam pillows, and 250-count, pure cotton linens. 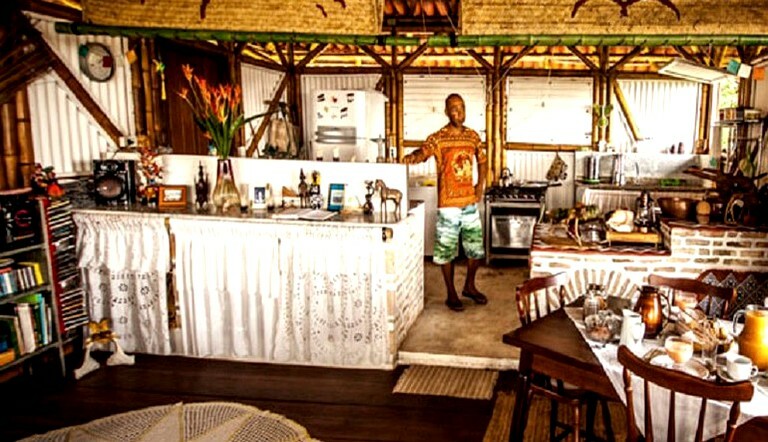 This glamping property as only two bamboo buildings (the bungalow with two guest suites and the main lodge with social area), on a property of 2,600 meters squared on a forested dune. 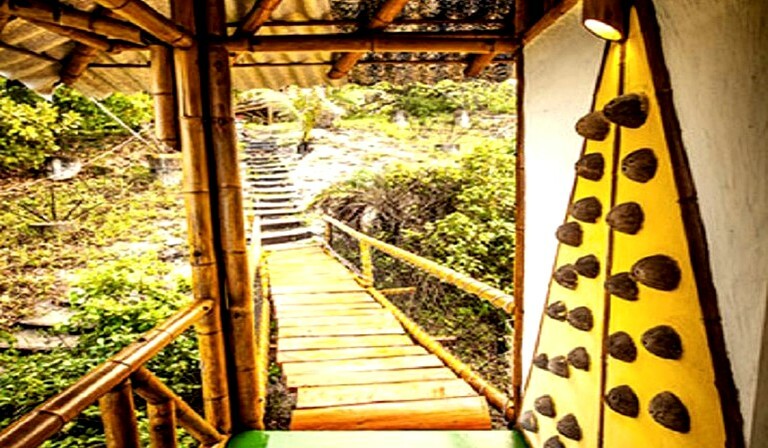 The sophisticated and airy construction of bamboo, artisanal finishes and artistic details, integrate with the peaceful surroundings to create a "Zen" atmosphere for the guests. 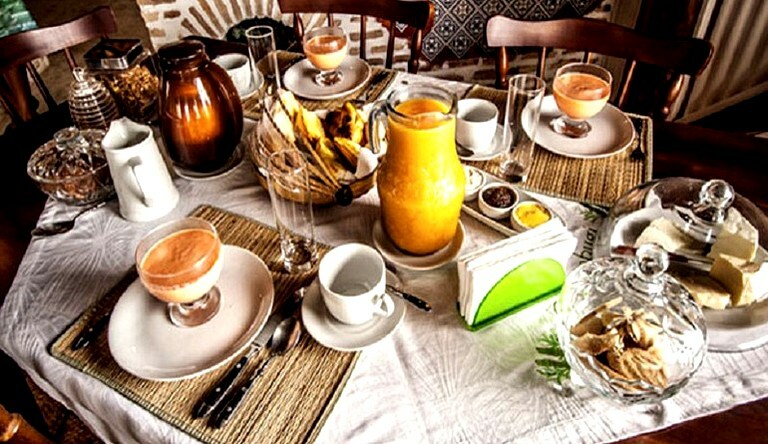 The Brazilian café-da-manhã (breakfast) combines a variety of "café mineiro" (Minas cheeses and breads), fresh fruits and blended juices, homemade jam, granola with natural yogurt, coffee and cappuchino -- all prepared by the host and served at the hour guests request. Rio Sagi: The river at the northern edge of the village is not large, but it is integral to village life, and to Sabambugi, as well. The cool fresh water crossing pristine sand invites everyone to bathe in its refreshing shallows. 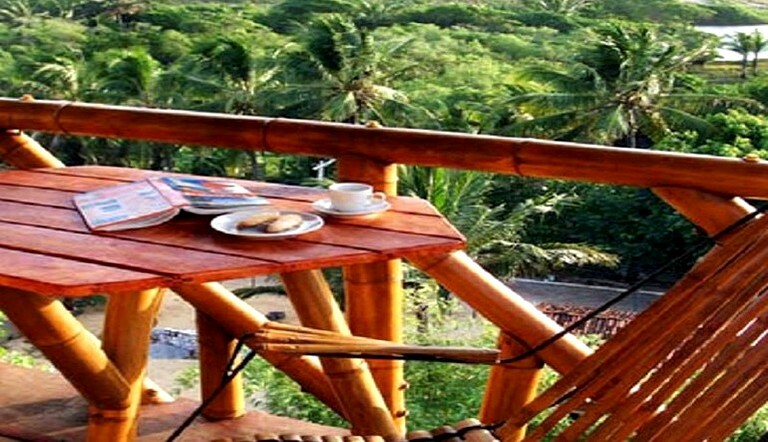 No need for a chlorinated pool at Sabambugi, when nature has provided beautiful alternatives. Rio Guajú: It's a 3km stroll along the beach -- or a run, if so inclined -- from the village to the river. Men from the village attend their boats to take visitors on a river tour. Poling the boat up through the natural landscape, they show guests mangroves and river crabs. 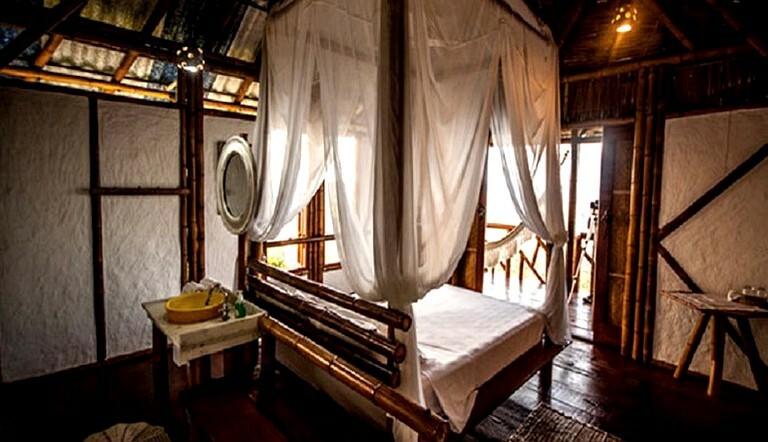 If glampers like, they can take a mud bath -- the locals believe the river bank mud has therapeutic value. Local youths enjoy sand boarding (skibunda!) 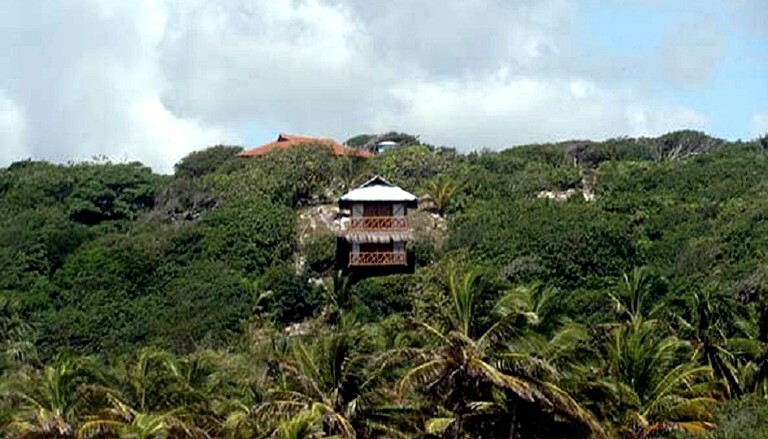 from the sand dune on the opposite shore, and are happy to let glampers have a turn or two (gratuity appreciated). 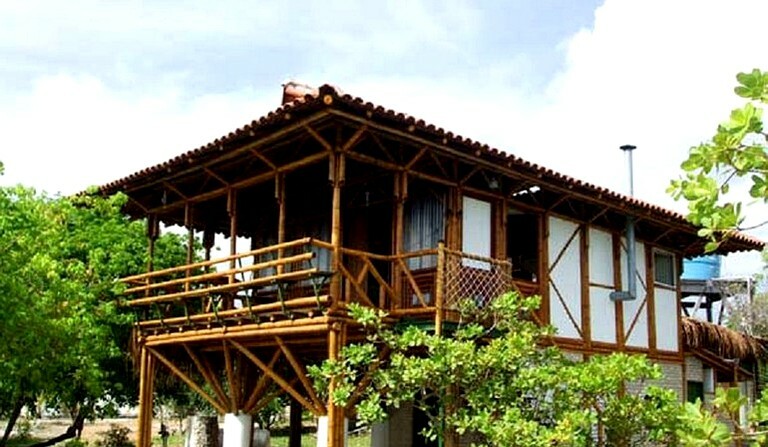 Please note that, in general, the accommodation is not appropriate for children or people with physical disabilities. For more details, please inquire with the host.